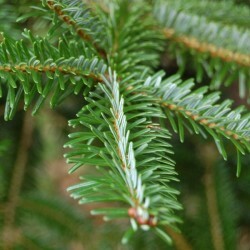 A magnificent, large fir. 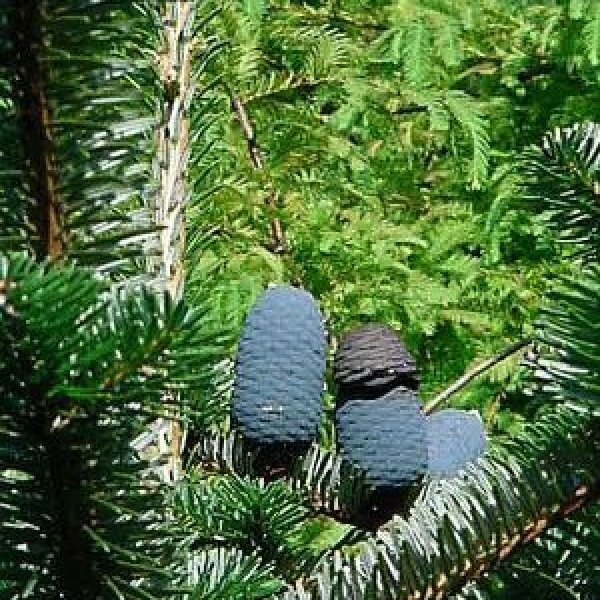 Mature trees display many, highly attractive, violet-black cones in the upper portion of the crown. 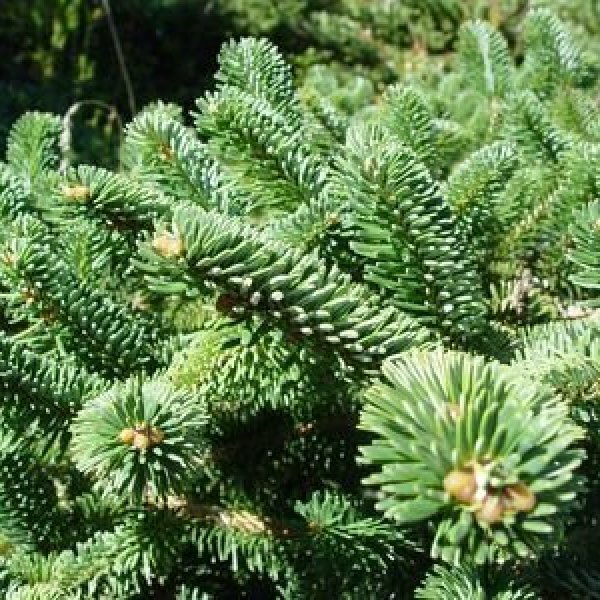 It is native to the mountains of Sichuan, China, including the famous Emei Shan where it forms large stands primarily between 2500 and 3000 m (8200 and 10000 ft.) and higher in a cold and wet climate. Its wood is of good quality and mostly used for construction. It also makes an excellent wind shelter. The seeds should be soaked well and need cold stratification for a month. Germination METHOD1:<br /> Abies seeds need to be "overwintered" or stratified before they will germinate. <br /> 1. Soak overnight in warm water.<br /> 2. Then pre-chill (stratify) for 30 days. Seeds can be stratified in dampened peat, sand or moist vermiculite , in a plastic box or bag at 4°C or 5°C in a refrigerator. The seeds should not be frozen or in a wet medium. 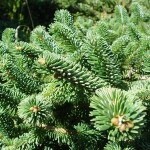 <br /> Seed can be sown in early February in a greenhouse or outdoors in March. Normally will only germinate with light, but the stratification (described above) can help to increase the germination rate. 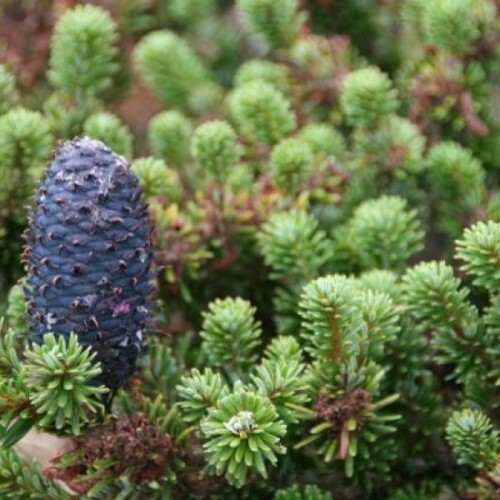 <br /> Sow Abies seeds 2-4 mm deep in the seed sowing mix. 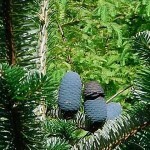 <br /> Abies seeds will usually germinate in 21-40 days if overwintered and stratified or about 6 - 8 weeks if sown directly.<br /> METHOD2: <br /> Soak seeds in cool water for two periods of 10 hours, but with a night break between them. Then after the second period, let the seeds drying out for a few hours. Next, put seeds into closed plastic bags but with little holes on the upper bag to allow gas exchanges. Place these bags in cold room/lower part of a refrigerator at +2° to +4°C. Check it out and stir it every 2 to 3 days to avoid mould development and watch also for the first appearing radicules. It usually takes 3 to 5 weeks to get about 10% of radicules to appear and then it's time for sowing.